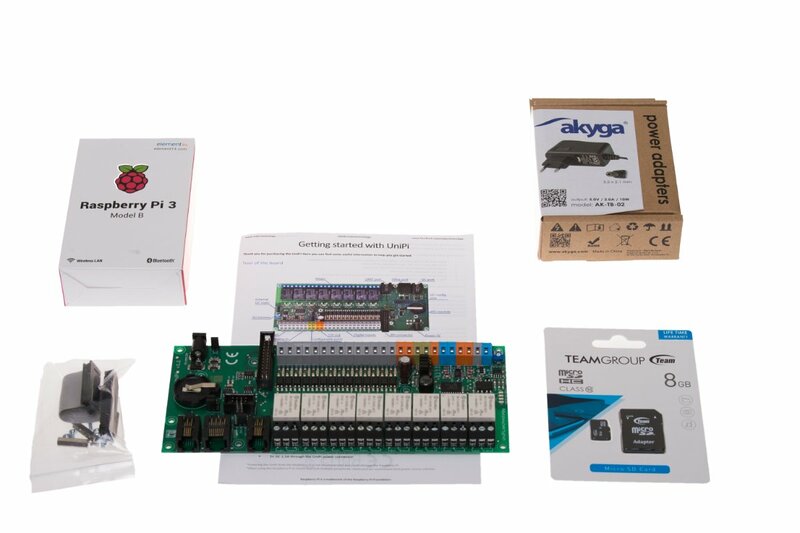 UniPi starter set includes everything necessary for set up, testing and development. 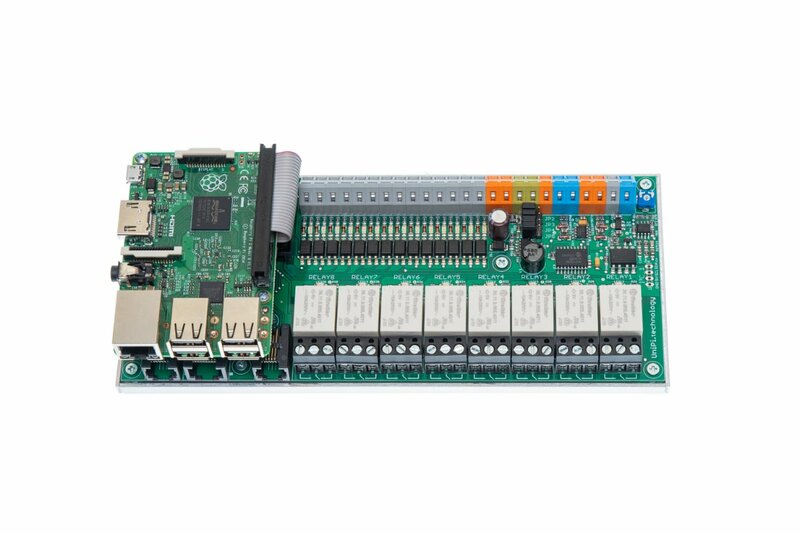 UniPi starter set includes everything necessary for set up, testing and development. Compared to UniPi complete set this set does not include software license nor equipment necessary for installation into racks and distribution boxes. requires an external 5V 2.5A power supply with 2.1mm DC jack. 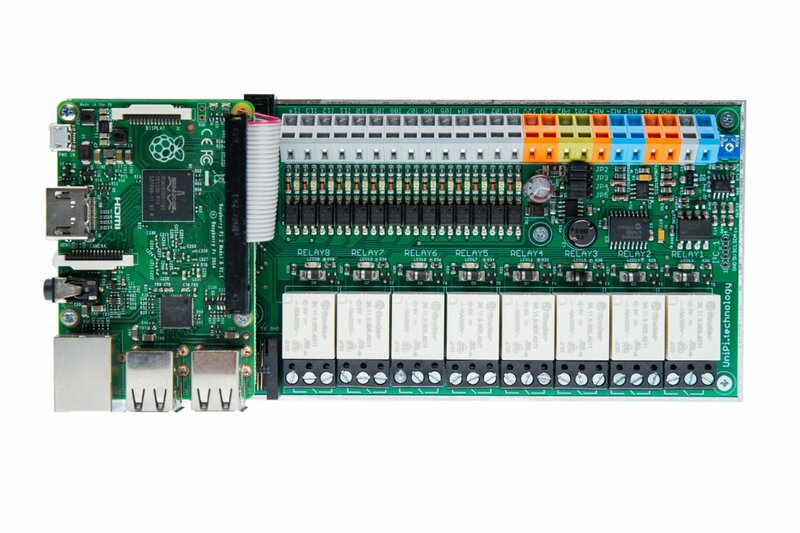 UniPi 1.1 is an extension board for the Raspberry Pi computer, allowing it to serve as a programmable logic computer (PLC) in applications such as automation, regulation, monitoring, smarthome systems, industrial automation and many more. It is a direct predecessor of the Neuron PLC line.. 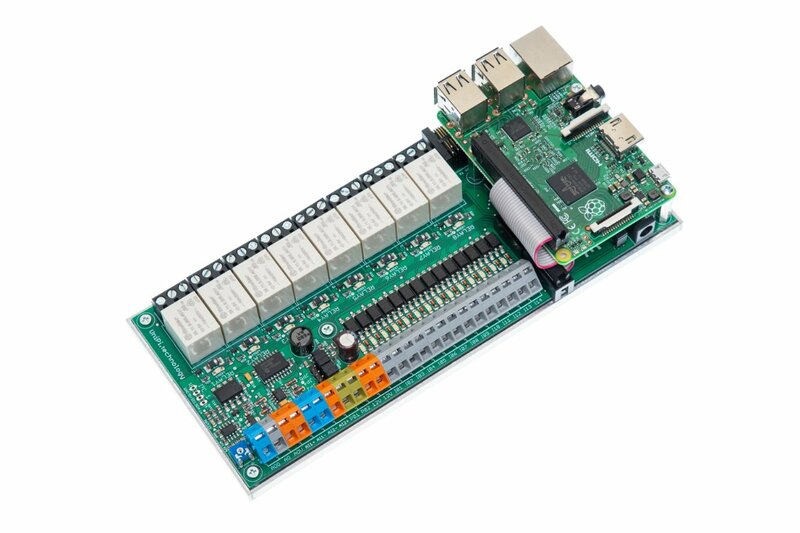 The board can be extended via EMO-R8 extension module, adding another 8 relay outputs. Users can also purchase a DIN rail holder for installation into distribution box and plastic protective cover. UniPi 1.1 is compatible with a wide variety of software. For programming the UniPi we recommend either our open source API EVOK. or our advanced node-based control software, Mervis. EVOK is our official open-source application programming interface (API), designed for remote access to our control units. 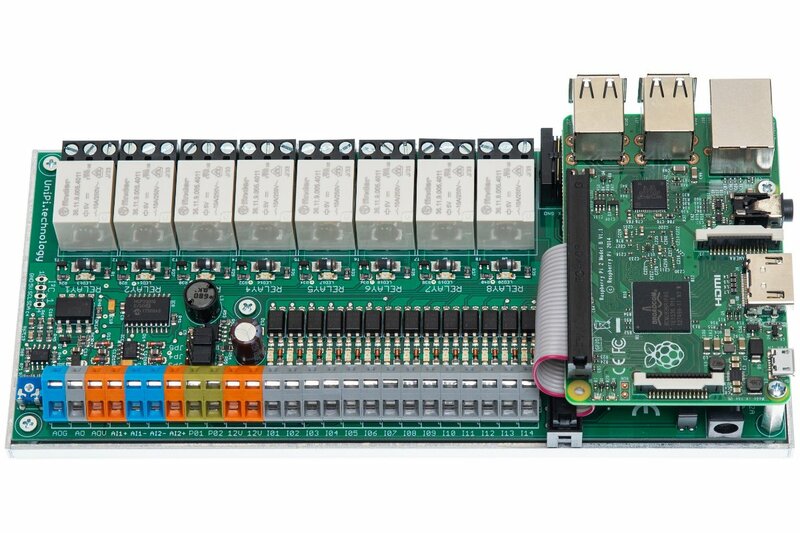 It represents a simple software allowing the user an easy access to hardware without extensive programming. Mervis is then our primary, officially supported software platform for UniPi PLC management. It is an extensive set of tools for advanced monitoring and regulation, developed in accordance with the IEC 61131-3 programming standard. Digital inputs are designed for reading of binary values (0/1, on/off, open/closed etc.) 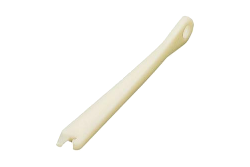 and are thus suitable for connecting switches, motion sensors, window or door magnetic locks etc. Analog inputs are used to receive either 0-10V voltage or 0-20mA current signals. Alternatively, they can be used for reading data from corresponding sensors, such as resistance thermometers. The user can adjust the input mode via corresponding control software. Analog output can be used for control of external devices such as three-way valves or heat exchangers via 0-10V voltage or 0-20mA current signals. Analog output also allows current or voltage regulation. Relay outputs are designed for switching two-state devices via alternating or direct voltage. Relays thus can be used to switch boilers, water heaters, electric motors or other stronger relays. Neuron unit relays are designed for 5A maximum current and 250V alternating/30V direct voltage. You may also be interested in our introduction to choosing the right software for your UniPi. The system is designed particularly for control of technical equipment in smart buildings, monitoring, evaluation, and management of energy and media consumption. The system facilitates energy and media savings of up to 30%! Easily configurable: UniPi with Mervis software is in accordance with the IEC 61131-3 standard for PLCs, one can easily configure the whole system and set it to the final, user-friendly form. It responds to present-day requirements of functional and flexible systems. Cloud database: Values from the single data points are periodically stored in the database. In this database, the data are saved in a special form which enables storing and managing a great amount of data (in the order of billions and more records) and fast search and display of the required data at the same time. You will get a login for a remote proxy server which allows you to access your UniPi remotely in any network, and 10 data points for storing your data on Mervis Database for free. With Mervis HMI you can also create and design your local web according to your needs. 1-Wire temperature sensor DS18B20 is a digital temperature sensor protected in water-resistant stainless steel cap (6*30mm) with 1,5m long cable with RJ45 connector, which uses 1-Wire protocol and is compatible with UniPi.